The concept of ch'i ("qi" in the more recent pinyin romanization), has caused much confusion for Western students of martial, meditative and healing arts. What exactly is ch'i? Much talk about chi is perpetually steeped in mystical belief and metaphysical speculation that is ungrounded in yogic experience, sometimes projecting superstition and forming belief systems that take much for granted at the expense of common sense. This article looks at the growing fascination with ch'i and ch'i arts in the West and attempts to lay some basic foundations for understanding this esoteric concept. Ch'i is a potential energy that is latent in the body and also exists in all forms of life. It is bio-electrical in nature, but until only very recently (due to the rigorous research on bioenergetic fields by physiologists such as Dr. Valerie Hunt), the west had disregarded ch'i as invisible, intangible and unmeasurable and therefore non-existent. In the Chinese mind, ch'i is intimately tied to breath, blood, and nerve, having virtually the same important meaning that the term prana holds for the Indian mind. For advanced practitioners of Asian yogic, healing and martial arts, ch'i is most tangible, often visible. But as western scientific research on bioenergetic fields gains greater recognition, the confusion pervading the concept of ch'i in the western mind will slowly be removed. The ancient Chinese mind was geared to the experience of energy in all its forms and so the Chinese language evolved to vividly map the territory that it perceived. Just as Arabic languages have numerous words for sand, and the Eskimo culture has many words for snow and ice, the Chinese have dozens upon dozens of basic terms for ch'i. The ch'i that is operative in traditional Chinese medicine is basically the same form of ch'i that is cultivated in ch'i kung arts and applied to empower the martial arts. It is a biophysical energy upheld by both mental and physiological processes, that ancient Taoists learned to cultivate and strengthen through yogas that coordinated and focussed the eyes, mind, movement and breath. Martial artists have varying notions of what ch'i is and how important it is to their respective arts. Many believe that ch'i gives one extraordinary power in strikes and the ability to withstand heavy blows to various parts of the body with fist, foot, or even bladed weapons. Many schools of martial arts at advanced levels do indeed train the practitioner to accomplish extraordinary metaphysical skills. In Chinese systems, there are specific Qigong (breath-training) and nei-kung (internal training) methods that endow practitioners with the ability to project energy across space and time, thereby knocking down opponents or healing patients at a distance with no physical contact. 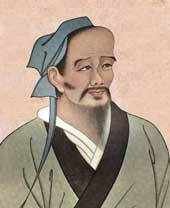 Such extraordinary use of ch'i has been celebrated in Chinese martial lore for thousands of years. Belief in such feats, of course, is left solely up to one's individual experience. In terms of practical, down-to-earth application of ch'i in the martial arts, there is much more to it than breaking objects or absorbing blows without harm. Ch'i is slowly cultivated from long, diligent training in which mind and body become integrated in performing natural patterns of martial techniques. At the point where advanced training has developed techniques into reflexes, the practitioners' mind moves his chi, and his chi moves his body. 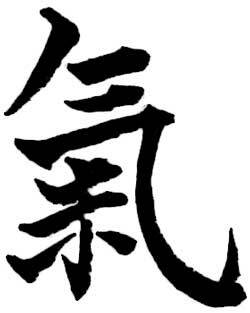 Martial art mastery is marked by the development of structural sensitivity, or the integrated body-mind, which puts the person in the right place at the right time with the right strategy to survive and prevail. My opponent attacks before I do, but I arrive before he does. This is considered the highest level of skill in Chinese martial arts. As a side-effect of developing such excellence, the Chinese martial arts cultivate ch'i, or internal energy, which when developed to a level of constant super-abundance in the practitioner's life, often can manifest in interesting and remarkable ways. Virtually every Chinese martial art has an internal energy component that is developed through either a separate body of yoga or qigong (chi-kung), or through the boxing discipline itself. The various Qigong systems found in the martial arts develop in very specialized ways, creating distinctive types, or "flavors" of ch'i. The experience or feeling of the martial energy of a t'ai chi player is different from that of the hsing-i practitioner, is different from that of a chin-na specialist and also different from that of an internal-external school such as Shaolin. Not only is each style's energy distinguishably different from each other, but within a particular practice, the energy may also differ according to each individual. To further elaborate, let's consider the stages of development over a lifetime of training in the martial arts. At the very beginning level of martial training, there exists an energy state of "inactivity within inactivity." Our internal energy is not trained nor cultivated and so lies dormant, and our external body is not coordinated nor conditioned in any manner and is not empowered with vital energy beyond the norm. This is the life of the non-athletic couch potato. Through practice at the beginner's and intermediate levels, we develop "inactivity within activity." We train our external bodies how to move and begin getting into good physical shape. At this point, we now have only the external physical skills, but not yet the mental conditioning and fine neuro-muscular control to apply them effectively in a fluid and spontaneous manner for self-defense. Healthwise, one derives the aerobic exercise benefits of the martial art. At the advanced level, the persevering practitioner begins to manifest activity-within-activity (i.e., our spirit and physical body move together). The state of inner/outer, psycho-physical balance and dynamic harmony is the goal of martial arts training, for at this level of integration the martial artist has developed a degree of self-control and thus a capable of "other-control." Achieving this integrated state—and more importantly—maintaining it begins the process of ch'i cultivation. At this level, depending on the particular martial art that is being practiced, the practitioner may also begin to experience physiological rejuvenation. Ethical philosophy also begins to play a vital and necessary role in one's life as the inner/outer connection enables thought to turn into action. There is yet another level of cultivation beyond "activity-within-activity," and that is "activity-within-inactivity." Here, in the province of the true masters, the spirit moves without the physical body having to move. Internal energy is no longer a latent potential but in active abundance—a fully actualized dynamo. Mind and body are so well conditioned and atuned to natural laws that mind affects the form of energy at will. This is not a case of mind-over-matter, but rather the case of shen (psychic-spiritual awareness) and ching (potential, metabolic energy) "forming" and upholding reality. Thus the teaching of all masters throughout the ages is "Mind is All." At this level, "philosophy" is no longer subscribed to, but is rather created every moment through the direct experience of reality and universal laws. Dr. Valerie Hunt. Source: http://www.awaken.com. A word of caution is in order for those who may be confused by the mystique of ch'i, and for that reason, become susceptible to the scams of charlatans who try to manipulate this confusion. The martial and yogic arts should not be taken up and turned into some obsessive quest for an idealized "peak" experience or attainment of ch'i. This is a big trap for some students who become enamored with "chi-mysticism" and make it an object of obsession, and embark on a zealous quest for supernatural power that quickly degenerates into fanaticism. Again, ch'i cultivation is best viewed as a side effect of training in martial, healing, or meditative art, and not as an end in itself. 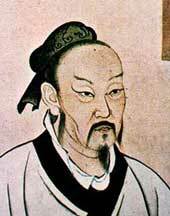 In Taoist metaphysics, great importance is placed upon consistent, life-long cultivation of ch'i not only through martial exercise, but also through proper diet, meditation, mental cultivation, religious practice, and good works. Taoists believe that only with an immensely high level of ch'i refinement and purification can one's spirit, upon bodily death, rise as a shen (the light expanding and God-revealing spirit)—as opposed to falling as a kuei (dark ghost) and becoming earth-bound. Anthropologist Carlos Castaneda, author of one fo the most brilliant treatises on a warrior's way in his books accounting his apprenticeship with Yaqui Indian sorcerers Don Juan and Don Genaro, provides standards and benchmarks for growth that are almost identical to those in Taoist traditions. In his seventh book, titled, The Fire From Within, Castaneda finally and clearly defines what the most frequently used word in his books, a warrior's "impeccability," really means. He states that impeccability is nothing more than preserving one's energy. He explains that a warrior's quest is to "hunt power" in order to claim the totality of oneself and become a "man of knowledge." This has identical meaning to Taoists accumulating/cultivating wisdom on the path to becoming "immortals." Do not seek in your vitality what you do not find in your heart. Some timeless advice from preeminent masters. This entry was originally published as "Much Ado About Chi" at http://www.taichimania.com. Slight changes were made to fit the stylistic requirements of Qi Encyclopedia.